TVC Capital is an operator-led growth equity firm focused on investments in and acquisitions of software companies and software-enabled service firms. They are currently investing out of a $115 million fund and have $235 million in assets under management - all of which are processed through SecureDocs Virtual Data Room during transaction, and all data remains in the data room as a single truth source of record for post transaction activities, audits, as well as future financial opportunities. Before using SecureDocs TVC Capital struggled with constant crossing of wires when working with tracking documents and diligence checklists during transactions. Their information was spread over email, hard copy documentation, various hard drives, and resulted in frequent duplication of efforts, missing data, and wasted time. All of these issues were immediately resolved once they began using SecureDocs. TVC Capital needed a single source of truth for all transactions, with controlled access that was both secure and flexible enough to be used for multiple transactions at once. They wanted a way to streamline both internal and external communications, while ensuring that TVC alway remained in control of their information - so they would no longer need to chase outside parties for critical deal or post transaction information. They wanted to provide a professional standard when dealing with any client, target, or existing company that was both easy to use, and also would facilitate a speedy deal process. TVC Capital has processed 100% of their transactions using SecureDocs Virtual Data Room, including 14 transactions, 2 exits, more than 10 follow-on transactions with zero security issues. 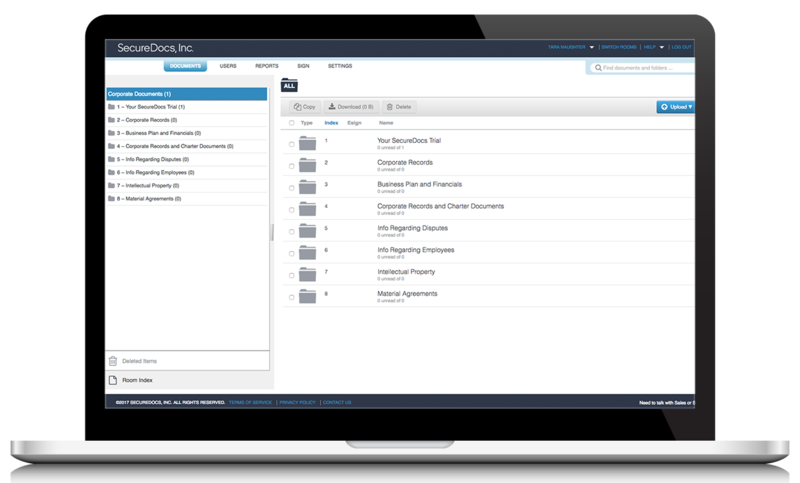 Successfully bring their equity allocation to roughly $125 million with $50 million in exit value using the SecureDocs product.